Recently, I was looking for a good car story. I left a place where I did an interview about minorities and discrimination for a different publication, close to the center of Sofia, the Bulgarian capital. And what did I see? 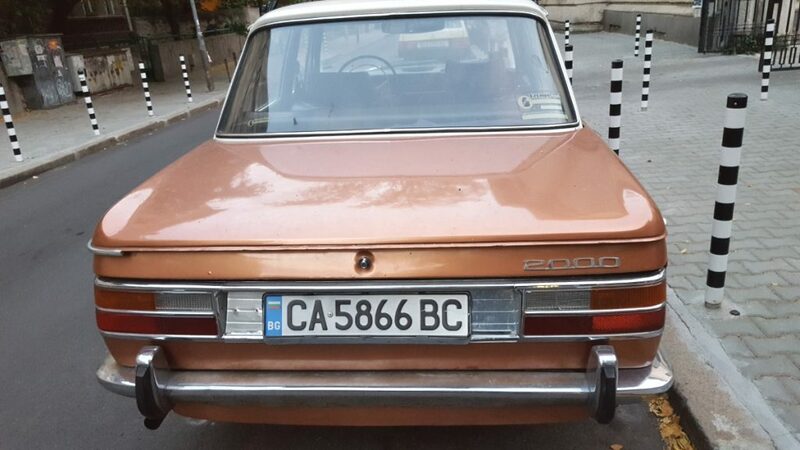 This beautiful BMW 2000, which looks almost like new, even though it is several decades old. Somebody put a lot of effort and love into this vehicle. That is for sure. Still, this was not a full-blown story yet, until I started doing some research on this model. That was when I knew had a nice car story. As it turns out, the BMW 2000, this very model, was introduced by BMW at a time of crisis. Back then, in 1966, the Bayerische Motorenwerke, the abbreviation for which is BMW, needed a good idea, and fast. Mercedes was growing rapidly, while leading the field in the upper middle class, as well as the luxury class. The BMW 2000 changed all of that, exactly half a century ago. The sleek design caught the eye of many, including the former German Chancellor Ludwig Erhard, who visited the BMW stand at the Internationale Automobilausstellung (IAA) in Frankfurt, an important car fair until today, in 1966. Even he was impressed. This model may have had two cylinders less than comparable vehicles sold by Mercedes, but it was faster and definitely looked more modern. This was when BMWs were not seen as just another car on the street anymore, but when their prestige rose substantially. The new shape BMW introduced with its model 2000, with up to 130 HP, would define BMWs design for decades to come. Everybody loved this vehicle, including the Americans. The price of 17,000 Deutschmarks was relatively high back then. But the growing fan base did not give a damn. They wanted to race their BMWs along the German Autobahn and impress their neighbors. 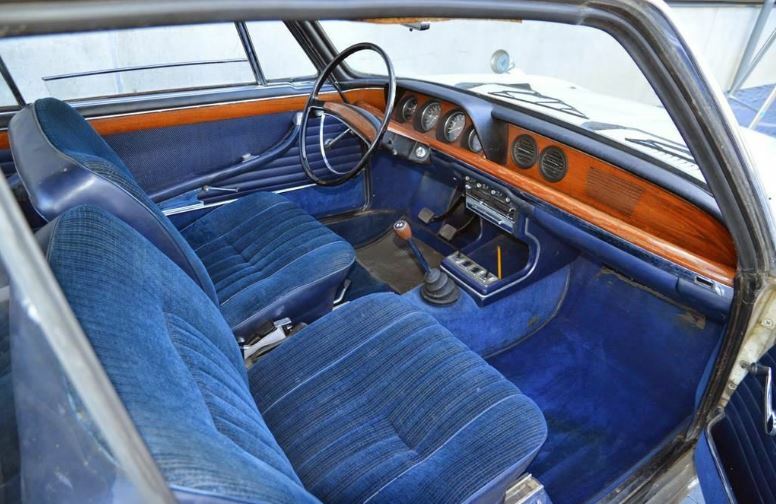 This kind of blue was popular 50 years ago. The BMW 2000 Ti, kind of a racing version, would easily reach 200 kilometers per hour, which, for a vehicle of the upper middle class, was pretty sensational in 1966. In 1968, BMW was in trouble again. During the two years since its introduction, nobody else had managed to come even close to the kind of elegance, speed and ‘feel’ this car offered. That changed abruptly, when Audi came up with its first 100 model. There was another competitor: The NSU Ro80, a very modern looking car with a Wankel engine. So, BMW had to come up with something even better. And that is exactly what they did, in 1972, when the 5-series BMW was born. But, we are getting ahead of ourselves here. 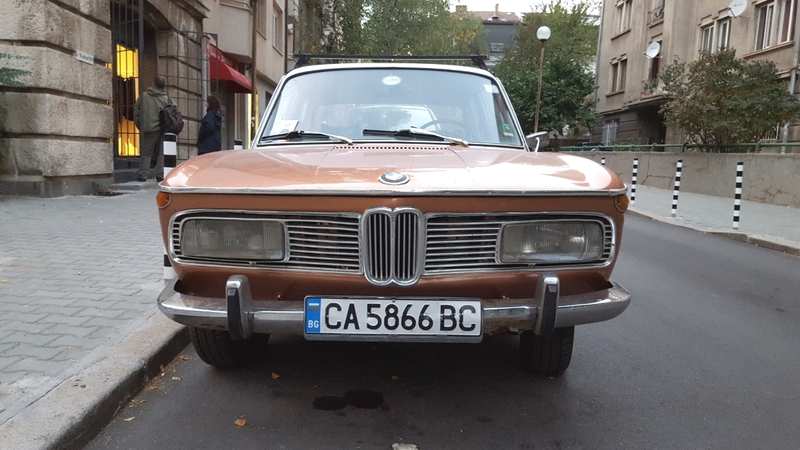 I found this wonderful BMW 2000, parked on some street in Sofia, fifty-two years after it was introduced in Frankfurt. You have to admit: That is a good story.